TIMES WATCHDOG: Washington state health officials had been warned about possible overdose deaths tied to Dr. Frank Li and Seattle Pain Centers. Why did it take years to stop him? They said it was an emergency. When state regulators shut down a Seattle pain doctor this month, suspending his medical license and halting his ability to bill Medicaid, they described an urgent need to protect patients from harm. “The findings of fact establish the existence of an immediate danger to the public health, safety or welfare,” said the July 14 orderfrom the Washington state Medical Commission against Dr. Frank D. Li, medical director of Seattle Pain Centers (SPC). 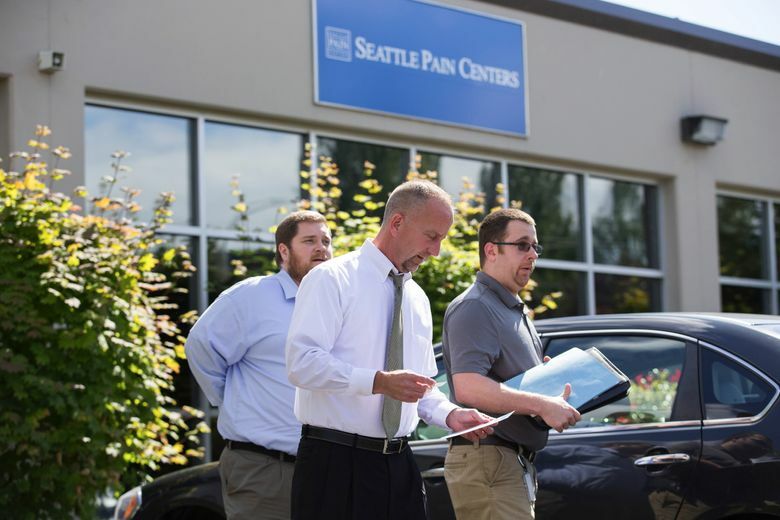 Seattle Pain Centers’ patients should seek advice from their primary-care providers and insurance plans about finding a new source of pain management, officials said. 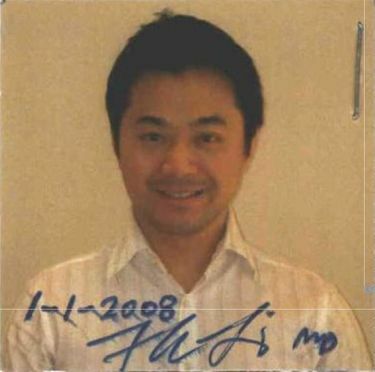 Li, 48, who runs eight clinics across Washington, was improperly charging Medicaid millions of dollars for unnecessary urine tests to boost his own “personal gain,” the allegations said. Worse, he failed to properly monitor the use of powerful painkillers by Medicaid patients, possibly contributing to the unintentional overdose-linked deaths of at least 18 people between 2010 and 2015. But a review of government records obtained by The Seattle Times finds that health officials were warned more than a year ago about possible overdose deaths tied to Li’s practice. And they were told three years ago that Li was blocked from prescribing for the state workers’ compensation program after Labor & Industries Department officials found evidence of two overdoses, one fatal. “In our workers’ comp system, I have told our medical people that our goal is not one more death,” said Dr. Gary Franklin, medical director for L&I and a pain-management expert. He said the decision to deny Li’s application was reported to other state regulators at an interagency meeting in 2013. Melanie de Leon, executive director of the Medical Commission, said her agency acted as quickly as possible to pursue the “very complex case” — once officials received a complaint about Li from the state Attorney General’s Office in May 2015. “I’m sure from the outside it seems like a long time to investigate such a serious situation, and because of the severity of the allegations we had to make sure we had a solid case, including allowing Dr. Li his legally required due process — which does take time,” de Leon said in an email. The charges may have shut down the chain of clinics that serves 25,000 patients across Washington. A phone message Thursday informed callers to Seattle Pain Centers that all sites except the Renton clinic had closed. A board-certified anesthesiologist and pain specialist, Li has been licensed in the state since 2008 and incorporated his business that year. 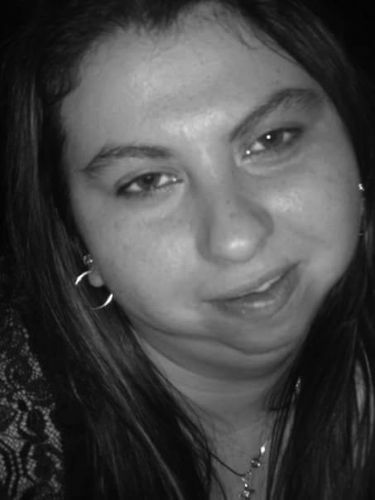 How Li was allowed to practice, despite multiple warnings, haunts the families of SPC patients like Mallory Rosas, a 28-year-old Maple Valley woman with developmental disabilities, whose mother said she hurt her knee when she slipped on ice at her fast-food job. Rosas died Jan. 12, 2011, of acute methadone toxicity, five days after filling a prescription for methadone prescribed by Seattle Pain Centers, according to the statement of charges from the Medical Commission. She is listed as “Patient O,” one of the 18 patients whose unexpected deaths led to Li’s discipline. A review of state death records confirmed her name. Beverly Rosas said the family long worried from the start that Mallory Rosas had taken multiple painkillers previously for knee pain, but would have low tolerance for methadone, a powerful narcotic. After her daughter’s death, Rosas said she tried to raise alarms about Li’s practice. Nicole Ellis, 43, of Everett, wants answers, too. 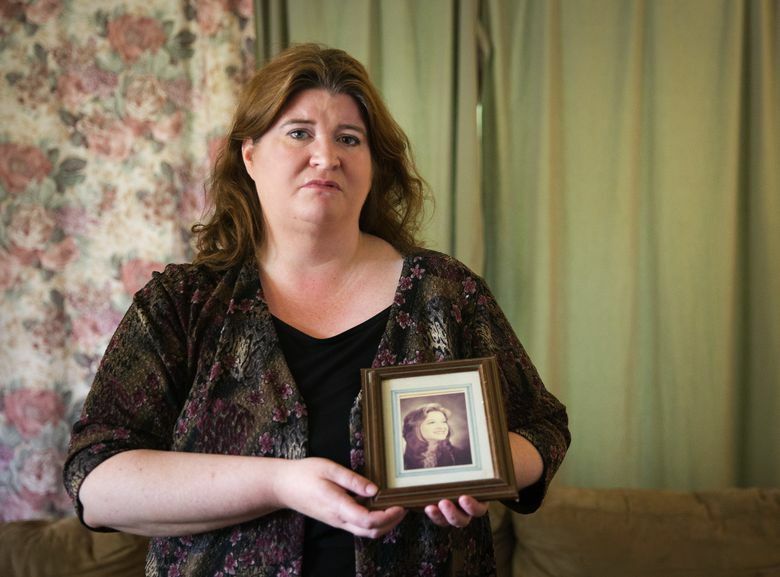 Her sister, Becky Gene Rae Kruse, was 58 when she died April 7, 2013, after an overdose. Kruse, who had fibromyalgia, had filled a prescription six days earlier for 90 4-milligram hydromorphone pills written by a provider at Seattle Pain Centers’ Everett clinic. She was “Patient J” in the charges against Li. Questions have surrounded the loss of the funny, loving woman whose suitcase was packed for a trip to visit grandchildren in Spokane when police found her body. Kruse struggled with addiction much of her life but seemed to be getting better, Ellis said. State officials July 14 revoked the agreement that allowed five physician assistants to practice under Li. Since then, four of the five have applied for and received authority to practice under different doctors. Authorities are investigating or have filed complaints against more than 40 other doctors and health-care providers who worked for Li since 2013. This month, the federal Drug Enforcement Administration (DEA) took steps to revoke Li’s DEA registration, which allows him to prescribe controlled substances. And insurers from Medicaid to Premera Blue Cross have removed Li from their provider lists. In California, where Li runs a pain center in Beverly Hills,officials are reviewing the case. Li defended his practice in a June 9 response to the Washington state allegations. Many of the deaths occurred among patients who failed to disclose health problems or habits, such as alcohol abuse or illicit drug use, or in those who ignored clinic directions about their medications, he wrote. Seattle Pain Centers accepted the most difficult pain patients, those often turned away by other providers. Mark Bartlett, a lawyer representing Li, said this month he expects the license suspension to be reversed after a hearing. Li opened his first clinic in Seattle and then quickly added satellite offices in Everett, Renton, Olympia, Tacoma and Spokane. He had “a mission to make quality pain care accessible,” according to a 2013 written response to state health investigators regarding the L&I concerns. He later opened clinics in Poulsbo and Vancouver. Faced with rising opiate-overdose deaths, Washington was among the first states to write new pain-management guidelines in 2007 and to adopt strict new pain-management rules in 2012, which required expert consultation for pain patients requiring high doses of powerful painkillers. Li positioned himself to serve that market, said Franklin, the L&I medical director. Those “most difficult pain patients” soon became a source of profit for Li, documents show. When Li’s license was suspended this month, his clinics were serving an estimated 25,000 patients, including about 12,000 through government Medicaid and Medicare programs. Li focused on boosting “the number of patients treated, the frequency of office visits and the volume of billable services” — particularly urine lab tests to monitor drug use, the suspension order said. Such tests are covered only when they’re used to assess a specific need for a specific patient, with appropriate documentation, guidelines say. But an investigation by the Medicaid Fraud Control Unit, a division of the Attorney General’s Office, found Li had standing orders for urine tests for nearly all patients, regardless of need. Between July 2013 and February 2015, Seattle Pain Centers billed Medicaid for nearly 200,000 urine tests and was paid more than $4.6 million, the investigation found. “Virtually all of this testing lacked documented medical necessity,” according to the suspension order. As recently as last year, Li owned a $1.2 million Seattle town house, a 23-foot cuddy cabin powerboat, a Porsche and a Maserati, tax and registration records show. Fraud investigators in recent years also started to see a disturbing number of deaths among SPC patients, said Steve Dietrich, a former Medicaid fraud attorney who left the Attorney General’s Office in June. Walsh’s reply on Feb. 18, 2015, was pointed. Three months later, the Attorney General’s Office delivered to the Medical Commission a 26-page report describing problems with Seattle Pain Centers. It included details of the unintentional overdose deaths of the 18 patients over five years, plus suggestions that dozens more may have been harmed. 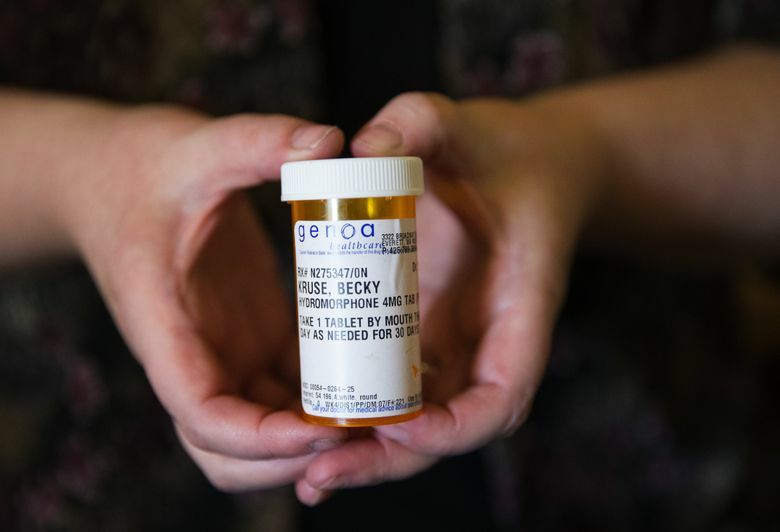 Such deaths would be highly suspicious, even in a state where more than 600 people a year die of opiate overdoses — and even in a population of chronic pain patients who often have other serious health problems, said Franklin. It would be more than a year, 14 months, before the Medical Commission suspended Li’s license for the allegations in the complaint. During that time, three more Medicaid patients treated by Seattle Pain Centers died, according to the state Health Care Authority. Officials there said it’s not clear whether the deaths were related to clinic care. De Leon defended the Medical Commission, noting the agency took action against Li while the Attorney General’s Office has not filed any charges for civil or criminal fraud. The state Medical Commission’s action against Li was slowed in part by requests for delays by his lawyers, de Leon added. And the agency had to obtain a review of Li’s practice by an outside expert, a requirement to file Medical Commission charges. Dr. Timothy E. King, a University of Washington-trained pain specialist who now practices in Indiana, reviewed the records in late 2015 of several Medicaid patients seen by Li or his colleagues. The Medical Commission requested that report June 14 and received it June 17, an official said. The commission voted June 23 to suspend Li’s license. But Dietrich said King’s report was available months earlier, when he first reviewed the cases as a contracted expert for the Medicaid unit and the U.S. Attorney’s Office. King, reached by phone, declined to comment. Dietrich said his resignation after three years with the Medicaid fraud unit and more than 20 years in other capacities with the state wasn’t directly related to the Li case. “If the practice is as we’ve described, it’s probably a net benefit to stop that sort of practice as soon as possible, whatever the consequences are,” he said. The Medical Commission’s action against Li followed a June 10 public-records request by The Seattle Times for copies of complaints filed against him. However, de Leon said the inquiry and possible public disclosure had nothing to do with the state’s sudden response. The fallout from near-closure of Seattle Pain Centers has yet to settle. A new medical director has been named, Dr. Adam Burkey, the clinic website shows. Medical providers across Washington have been urged to accept pain patients and to provide timely referrals and access to drugs, but it’s not clear where people turned away from SPC will find new care. “I do hope that Seattle Pain Center does not close as there are many of us that do have real pain issues,” said Mark Thomas, 59, of Enumclaw, who has been treated at the Tacoma site for more than two years. He said he has painful peripheral sensory neuropathy associated with AIDS, and struggled to find care.